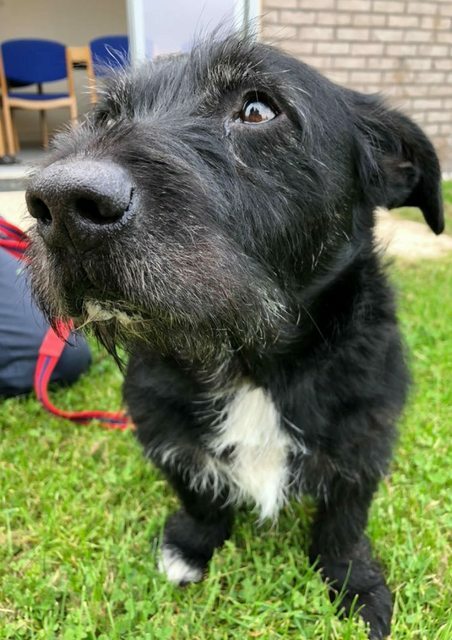 Jake is an 8 year old male Terrier cross who loves nothing more than a bit of good old fuss and attention. He is a boy that likes to be in the company of those that he loves, so it would be beneficial for Jake if his owners were around most of the day. Jake loves his treats and has been taught commands such as high five and roll over, which he would love to show his new owners! Jake does have plenty of character and does get unhappy when he visits the vets or when you leave the room, therefore to help Jake through these moments he would greatly benefit from owners who have experience of owning dogs. 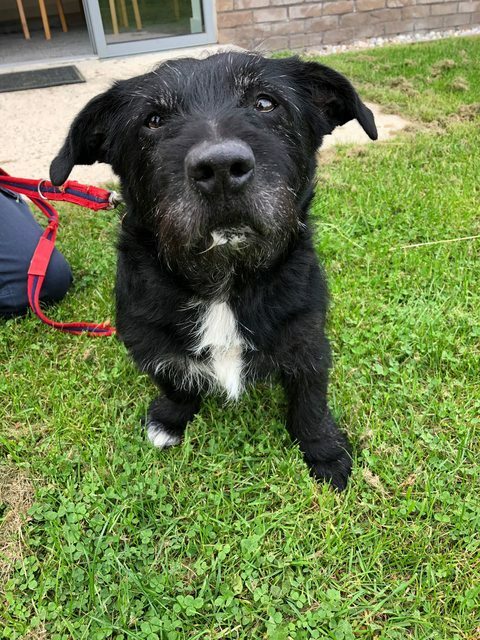 He hasn’t previously lived with other dogs or cats and prefers to have all the attention on him, so he would be best suited with a home where he is the only pet. He hasn’t previously lived with children before but we think that we could go into a home with dog savvy teenagers.